uShaka Sea World flamingo volunteer applications CLOSED for now. 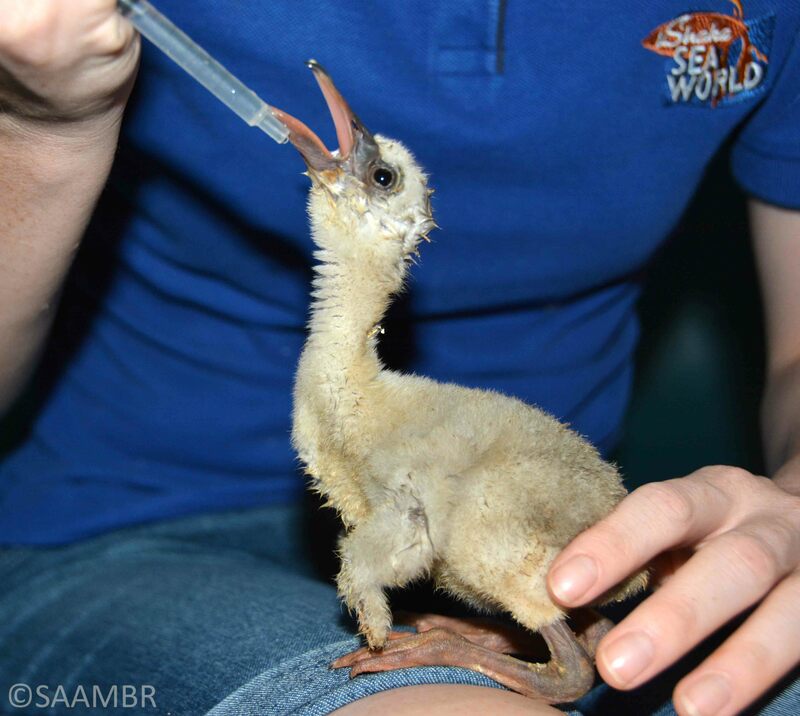 SAAMBR has been overwhelmed by the response to the call for assistance with the flamingo chicks that arrived at uShaka Sea World on Monday 27th January. It has been heart warming to see how many people have offered to help and we are very grateful to everyone. Right now we do not need any more volunteers. We have a team of trained volunteers operating optimally. However, as time passes we may need additional help and we will then post a call for assistance on our social media platforms. ‘It is at a time like this when we realise how many people really want to help nature’ said project co-ordinator Tracy Shaw. The young flamingo’s are growing fast and many of them are now feeding well and recognising the syringes as a source of food. Some of them have even started to darken in colour as they begin their second week of life. ‘These little birds are fragile and need care and we are doing the best that we can for each one.’ said Dr Caryl Knox , uShaka Sea World veterinarian.